Are you in need of stone restoration in NYC? 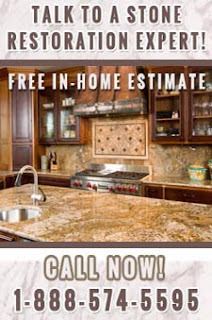 At Statewide Stone Care, our stone restoration experts have over a decade of experience to restore your natural stone to its beautiful original state. From counter-tops to floors, we use our expert natural stone knowledge and skills to deliver beautiful results. If your natural stone suffers from cracks or chipping, our natural stone restoration is the solution for you. At Statewide Stone Care, we have established ourselves as a leading company in stone care. Fully licensed and committed to providing the highest quality work, our professional stone care experts are here to help you with your stone restoration needs. We also provide free in-home consultations for our stone care services. Natural stone surfaces require very little maintenance and are very durable. But when stone surfaces begin to wear or become cracked and chipped, this could make that task more difficult. The proper care of your natural stone is especially important when the stone covers large areas in a space. Having your natural stone restored once will leave beautiful and lasting results that you can be proud of for many years to come. Statewide Stone Care provides restoration services for all types of natural stone including marble, granite, limestone, travertine, and terrazzo. Using our state of the art equipment, the experts at Statewide Stone Care provide detail oriented and professional restoration for your stone surfaces at an affordable price that will leave you with a shining stone surface. Over time the natural glow and beauty of your natural stone surfaces can begin to fade. Do not fret, our professional stone care experts have the knowledge and experience required to rejuvenate your natural stone surfaces to their previous appeal with our stone restoration services. For more information about our stone restoration in NYC, call Statewide Stone Care today. Statewide Stone Care- your source for stone restoration in NYC!